The Fleece Table Warmer is a Fleece Pad and Table Warmer in one! Get the benefit of the fleece padding for your table along with the bonus of heat. Has elastic positioning straps on each corner to hold its position on your massage table. 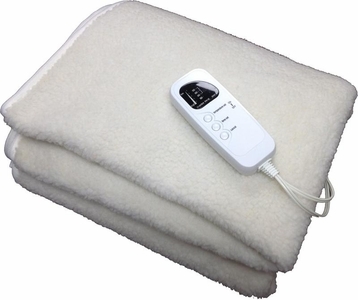 It will keep your client comfortably warm during a massage or any spa treatment. Safe for upholstery, pillow and coverings, plus it has Overheat Protection. If left on high after one hour it will automatically reset to low. Comes with a 12 Foot Power Cord so you don't have to worry about tripping over the cord or finding an outlet even if the outlet is far away!